The following two tables put a finer point on the structure of the Ontario industry. 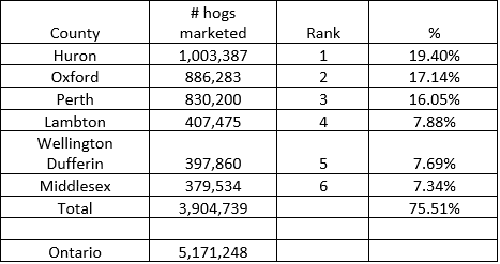 Seven counties make up 75% of the hogs, with three counties contributing 50%+ of the marketing. All of this would be within an approximate 80 mile radius of Stratford Ontario. This table shows the same 50-year plus trend throughout North America (and probably the world) of further specialization leading to fewer producers, but the ones left producing more hogs per producer. Perhaps the slight variation in Ontario would be 90% plus of the producers are land based growing most if not all their feed requirements. 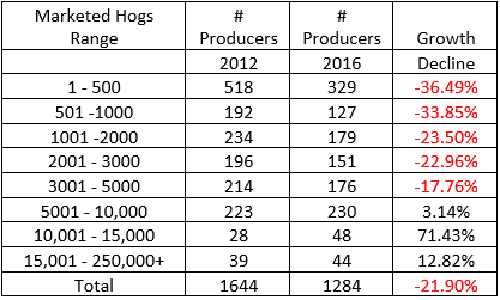 The old 80/20 rule would very much apply with 20% of the producers producing 80% of the hogs. Actually, 90/10 may be closer to the reality. 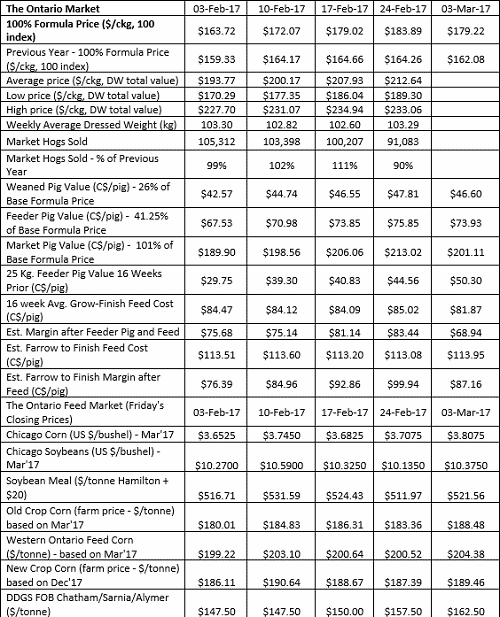 On the next page, compiled by the OMAFRA Swine Team OMAFRA.Livestock@ontario.ca, is how things have been running for the last five weeks. The traditional seasonal trend seems to be well in place with margins plumping up nicely and a welcome reprieve from the 4th quarter.